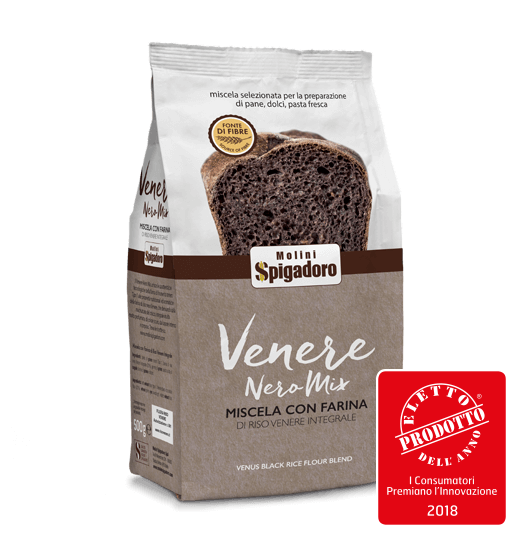 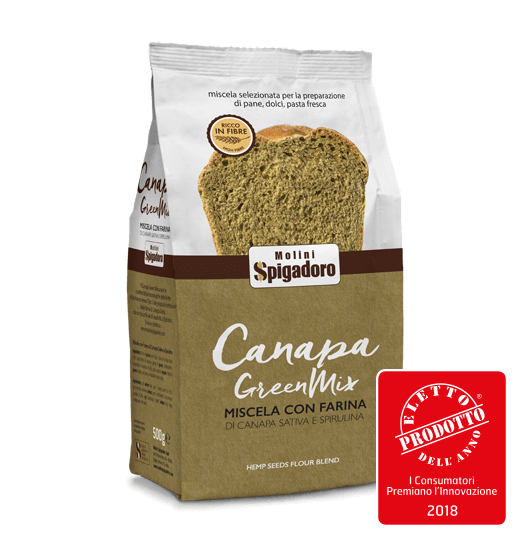 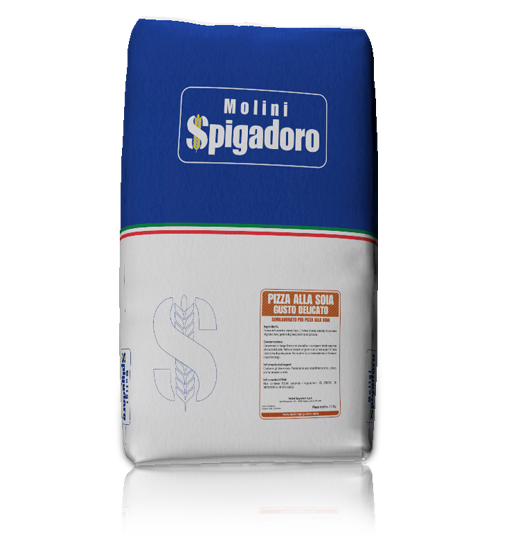 Molini Spigadoro offers a wide choice of flour for pizzas and focaccia for professional bread-makers and families alike. 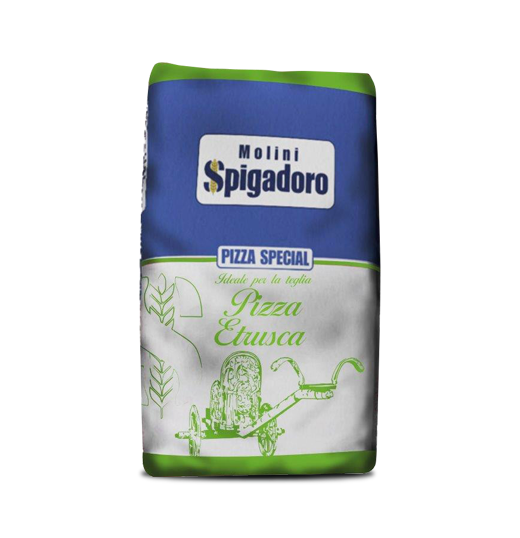 Pizzas, like focaccia and savoury pies, can have very different characteristics based on the flour chosen. Together with the water, oil and yeast, it is a distinctive ingredient in their preparation. 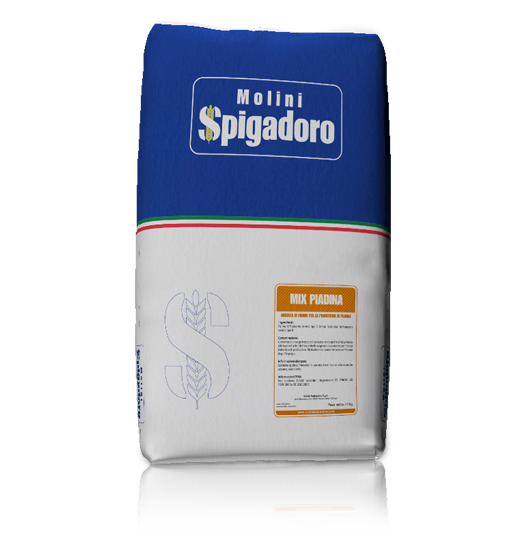 The best flour is obtained from common wheat which, depending on the type of refinement, can be either type 00, 0, type 1 and 2 and wholemeal. 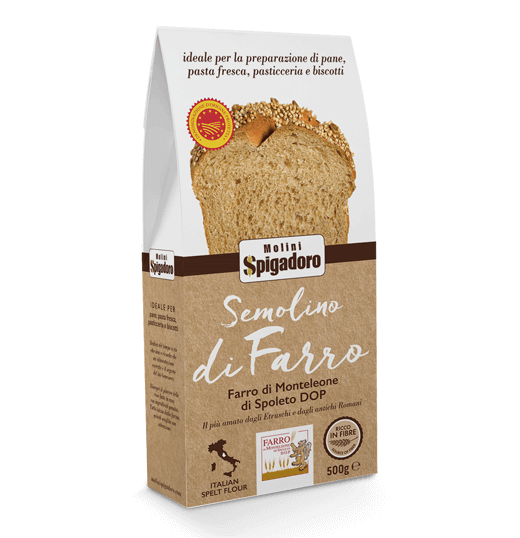 The latter is less refined, so has a higher fibre content. 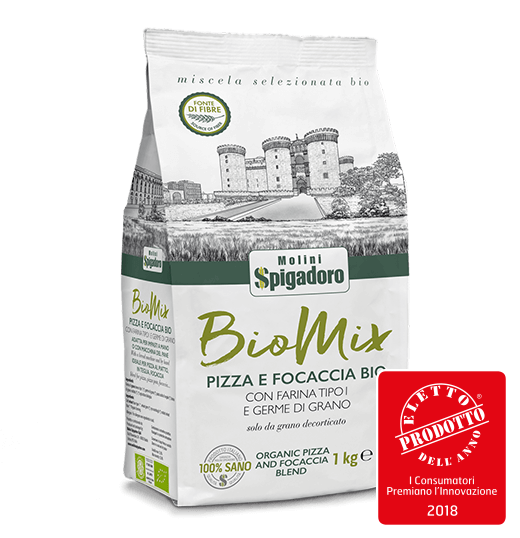 Wheat flour can be used on its own or enhanced with other ingredients, such as hemp, soya and rice flour, as well as wheat germ, etc. 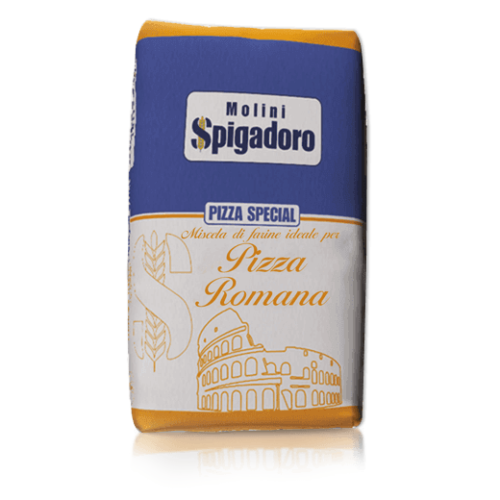 to obtain the ideal mix for a variety of pizzas and focaccia: Roman and Neapolitan style pizza, tray-baked pizza, flat bread and other typical specialities from Italian cuisine. 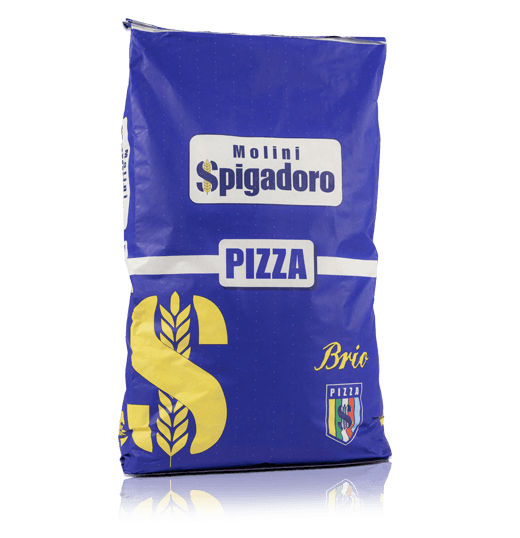 Regardless of the type of flour used, the quality of the raw materials is an undeniable factor in obtaining unique and delicious pizzas. 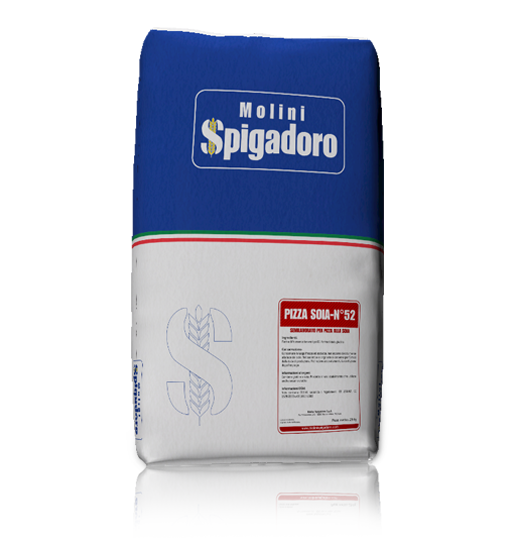 Molini Spigadoro only uses the best grain, selected and dehusked to guarantee the absence of residual contaminants and maintain the nutritional values. 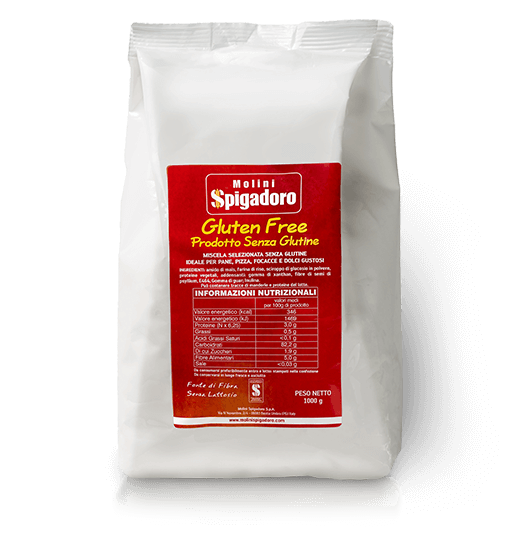 To meet the demands of consumers who are gluten intolerant, the range also includes a gluten-free flour suited to preparing pizzas with excellent results in terms of flavour and ease-of-preparation. 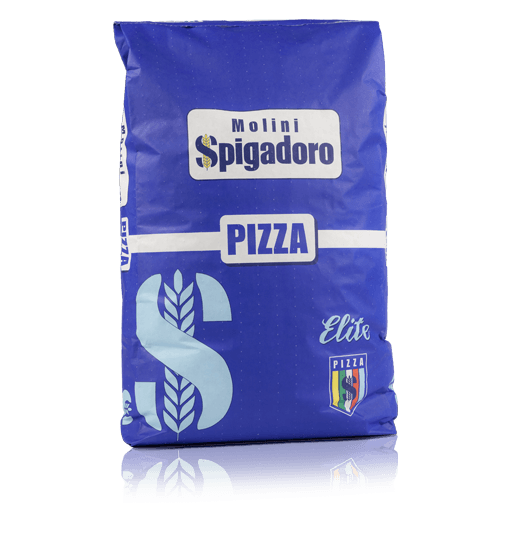 Wheat flour type 0, soy bean flour, gluten. 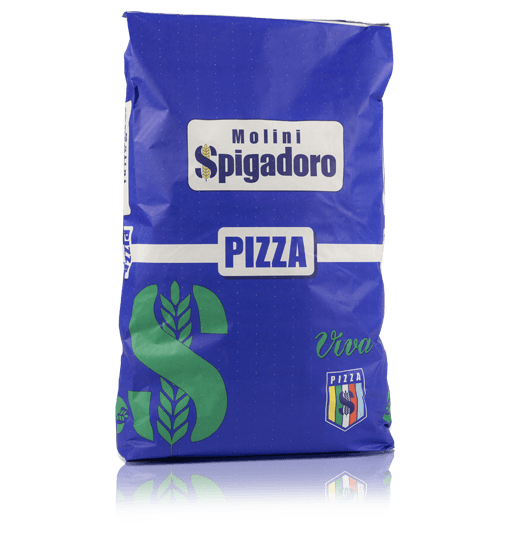 Molini Spigadoro flour for pizzas and focaccia is recommended by expert pizza makers and fulfils the requirements of both professional and home bread-makers. 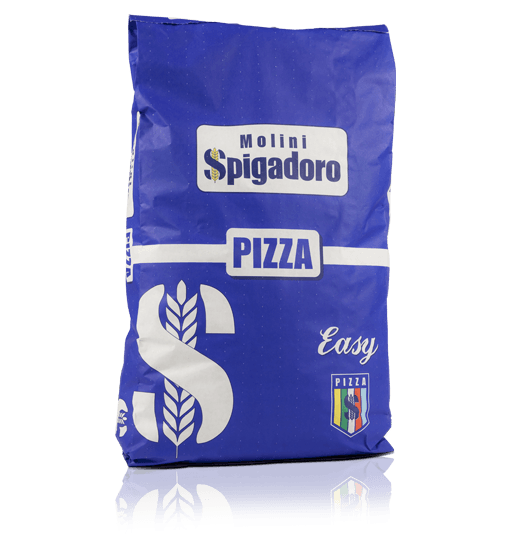 The wide range of flours and mixes has been developed to obtain an assortment of dough types, based on leavening times: soft and springy, dense and aromatic, rustic and crisp are just some of the many doughs that can be obtained by combining a few, simple ingredients. 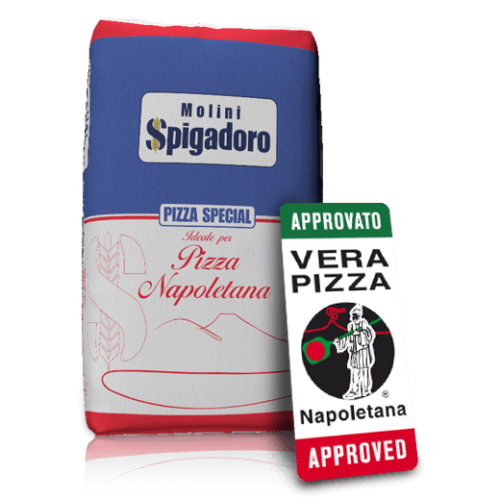 Italian tradition offers us different interpretations of the main dish in the Mediterranean diet; Neapolitan and Roman-style pizza, Genoa-style focaccia, thin crust and tray-baked pizza, Puglia-style focaccia and a host of other tasty variations. 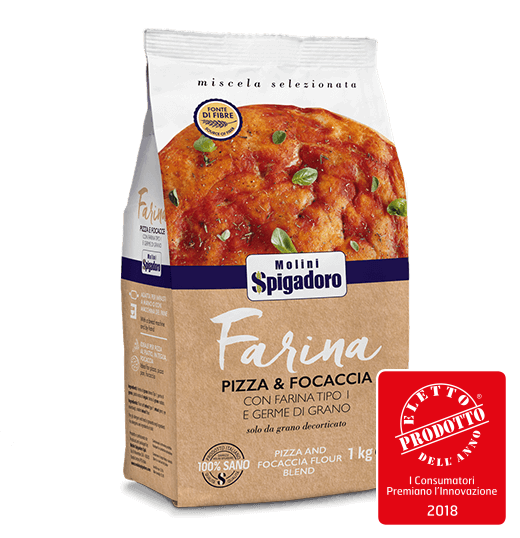 Each one is prepared to the highest standard thanks to a flour for pizzas developed in partnership with expert pizza makers which means you can obtain the perfect dough and a healthy, genuine product, both at home and in the pizzeria.